I picked this up on Black Friday from Sephora for $10 when they had their big sale. I probably would have never tried these products had they not been on sale especially the mascara because as you know if you've followed me for awhile I'm a big fan of MAC's Plush Lash and False Lashes Mascaras. Looks like I have forgot to do a review for Plush Lash so I'll have to get to that sometime in the future. 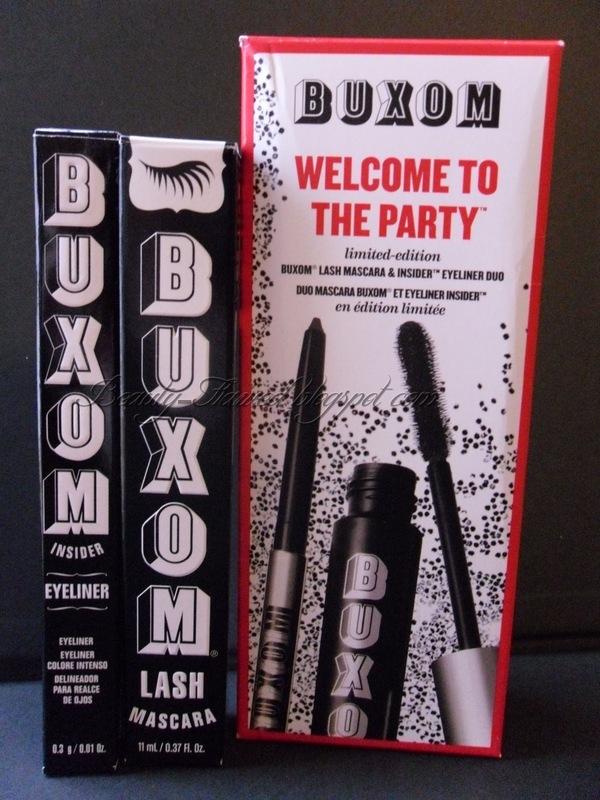 Buxom Lash Mascara in Black is the first thing I've ever tried from the Buxom line which is created by Bare Essentials. I do like Bare Essentials foundation's but I had never expanded out to any of their other products. This mascara is huge when I took it out of the box I was surprised by how big it was. The mascara wand is hourglass shaped and has spiky bristles instead of the traditional sort. I think this really helps make the product what it is and the formula benefits from it. It a little awkward because the brush is so big but it works out in the end. The formula is light and doesn't flake when it drys, I'm one of those people who always is touching their eyes ( I know its horrible, but it always seems like one of my lashes is falling into my eyes ) and I haven't had any product flake off onto my face. This is a volumizing mascara to make your lashes look fuller and I tend to agree with this but only if you put two coats of this on at a maximum anymore and you end up with spider lashes. Your end result is a more natural look with your lashes looking more defined and full. Buxom Eyeliner in Chocolate Citrine is also another product I definitely wouldn't have picked up otherwise mainly because I have never owned a brown eyeliner.. but now I am seeing the benefits of owning something other than just black. This is a great liner it stays on well and is smudge able at first. What a difference the brown color can make too, it works great for softer looks and really just helps enhance what you already have. I also like that it comes in a mechanical style with a built in sharpener it makes this much more travel friendly and ready to use. In the swatch I compared it to my Urban Decay Zero eyeliner which is a dark black so you could see how it's color scales in comparison. I'm very happy with both of these products and I would repurchase either of them. Buxom Lash Mascara is available in Black or Blue and retails for $19. Buxom Insider Eyeliner is available in nine other shades and retails for $14. Their price points are not too bad either as I have paid way more for an eyeliner or mascara. I'm also interested in trying out some other products from this line. Do you have any Buxom Products? Great prices for Buxom. Such a fantastic product. I might get some too. 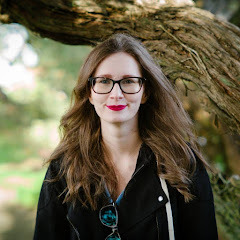 I awarded you with the versatile blogger award! I love that mascara!!! I hope you like it too! ooooh I can't believe I missed that sale! I've been wanting Buxon mascara forever.